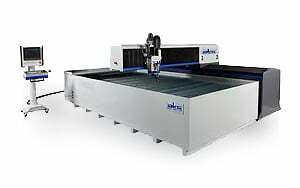 Virtually eliminate taper with our taper control system, available exclusively on AKS waterjet cutters. 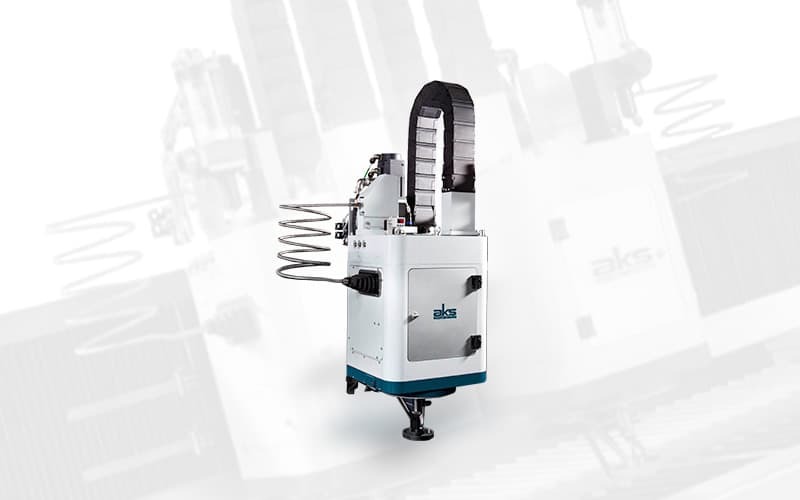 Infinite C-axis rotation plus motorized tilting A-axis up to 5 degrees, with modular touch probe to automatically set nozzle height. 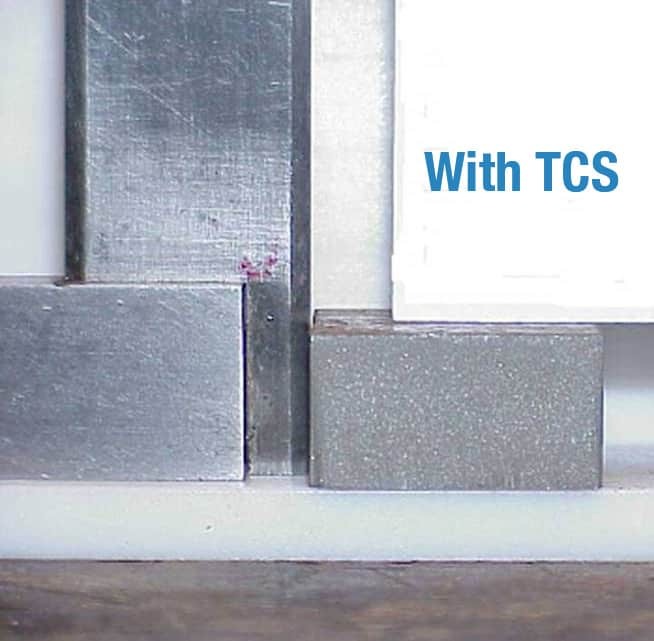 The AKS Taper Control System (TCS) achieves the highest part accuracy by angling the inherent waterjet taper away from the part edge. 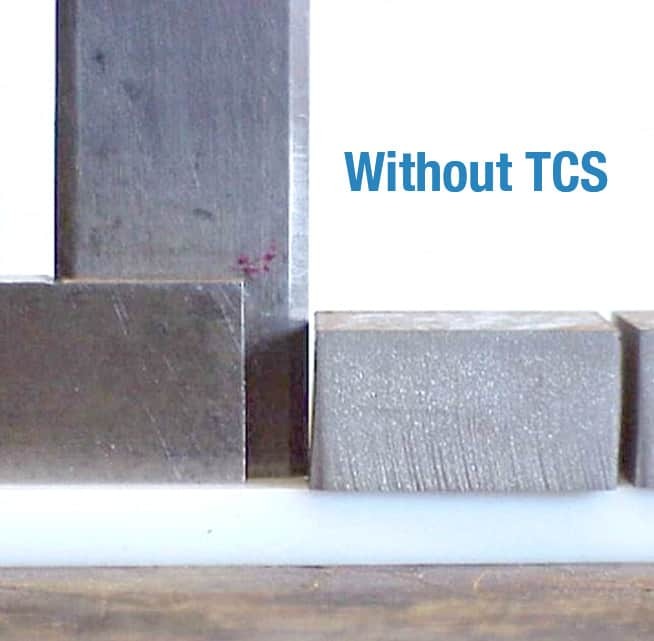 As an option on the water-kut X3 or water-kut X4 machine, the TCS uses two additional axes of motion – angular and rotational – to maximize part edge quality and straightness. 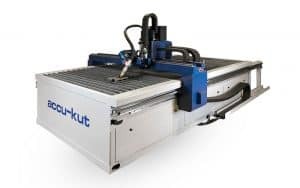 The result is a final part that is produced faster and with straighter walls, regardless of the thickness or composition of the material being cut. 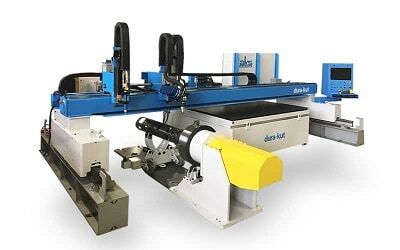 By addressing the natural “taper” and “lag” of the jet we achieve straight parts for accurate results. This is done automatically by the C-axis rotation and A-axis angle. 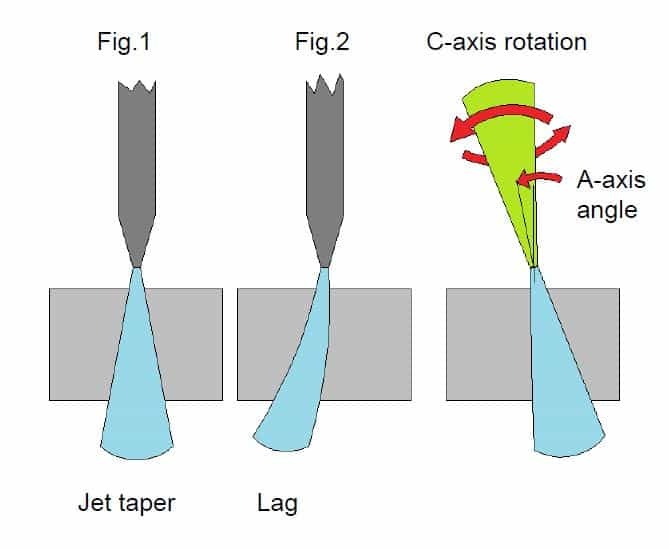 The values are taken from the database and applied to create opposing cones that are the compensation for taper and bending as shown in fig. 1 and 2.